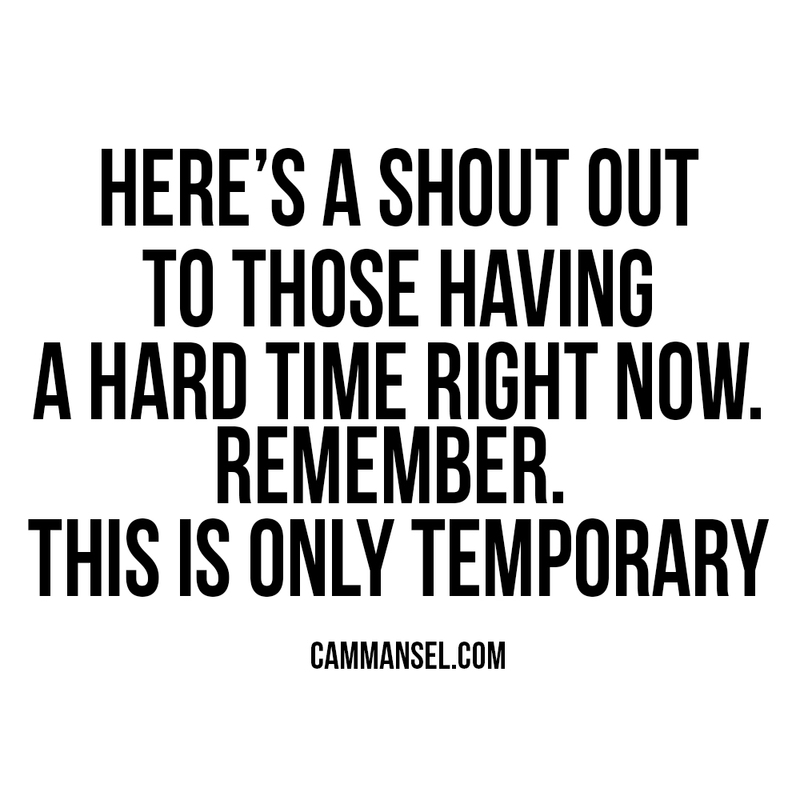 Here’s a shout out to anyone and everyone who’s having a bad day. Here’s to the bad days that aren’t awful but they just leave you feeling empty. Here’s to the days that you try your best but you just don’t feel like a success. Here’s to the days that you don’t want to get out of bed. Here’s to you for being a warrior. Yes someone somewhere in the world has has a worse day but this isn’t about them this is about you and your needs and you don’t have to justify the way you’re feeling to anyone. Each and every person is wired so differently. You have needs of your own just like I have needs of my own. My needs aren’t any more important than yours which are no more important than the next person. I feel like people are guilty of being sad or not having a good day. If you are reading this blog chances are you have a connection to the internet, a roof over your head and food on the table which means you are definitely very fortunate. There are some people in this world who aren’t as lucky as you but that doesn’t mean you’re any less deserving than the next person. It also doesn’t mean that you have to fake a smile because you’re privileged. If you’ve had an average day and you’re feeling it allow yourself the time to deal with that emotion tell yourself that it hasn’t been the best day but remember that this day won’t last forever. Tomorrow is a new day with new opportunities. Your situation isn’t going to change overnight I get that but do have a chance to turn your mood around. If there is something bothering you try and tackle that situation. If it is something at work talk to your boss or manager, if it’s a friendship talk to that friend if it’s frustration on another level do something today that can help fix that frustration in the future. I know not everything can change overnight but sometimes the small steps forward today will make you feel better tomorrow. If there is something small that you can do that you think might make you feel better I strongly recommend doing that thing. Sometimes you just have an off day when nothing really goes wrong you don’t really need to fix anything it’s just an off day and that is totally fine as well. If this is you I suggest going for a run/walk and getting some fresh air. It’s amazing how much good a bit of fresh air can do you. If you’ve had an off day try not to overthink it. Overthinking can just lead you down a rabbit hole and you don’t want to get trapped in a rut. Sometimes it’s better to just write that day off and start fresh tomorrow. Well I guess I just want you to know that you are not alone and this won’t last!